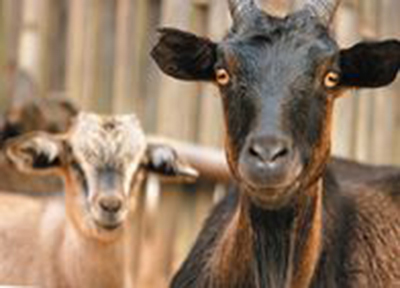 Donating a goat not only gives the family milk, it also provides fertiliser, allows the growth of vegetables, and provides the tools for breeding. Most importantly, it saves a young girl from the painful experience, a lifetime of infection and also gives her the right to her own body and a successful future. $25 can buy you a bottle of vodka, a bunch of flowers, half a ticket to a concert, a pizza meal-deal, OR it can buy one goat and the right for one young girl to her own body and a proud future. A gift to a friend of yours….one that changes lives. Give a friend the very special gift of donating one goat in their name, allowing them to save one girl. You may download this gift card, and print it for your friend, or email to them, with your best wishes. We are also working to support the international supermodel, Waris Dirie and her Desert Flower Foundation in her efforts to buy small farms. Waris has already raised over 20 million euros. Farms will give women income, independence and power, and the opportunity to protect their young girls from genital mutilation. With farms, the women can grow their family’s food and create an income – they can also breed goats to sell to the Rights of Girls. $25 buys one very good quality goat for a family in Africa who have formally agreed not to ‘cut’ their young daughter. You will be saving one young girl from genital mutilation and life of pain. 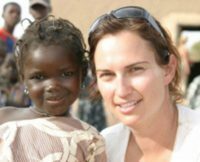 $50 buys a goat and provides goat food for six months while saving a girl from the horrors of FGM and also ensuring a healthy goat to provide an income. $100 buys two goats and feeds many families with two daughters which immediately changes their well being and family security. You have raised the importance of the life and health of two young girls, and their family has a bright future because of you. $250 saves 10 little girls. An amazing result, you are making a real difference. The Rights of Girls Initiative Ltd is an ASIC registered Not for Profit Public Company. ACN 159720779. ABN 62159720779. Charitable Fundraising Approval: CFN22530 and has ATO endorsement as a TCC-CI.